I know this is random and sounds weird lol, but I have been seeing this places. 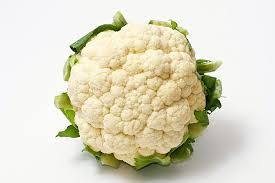 And I happened to have a steamed head of Cauliflower in my fridge. So I decided to test it out. Blend the cauliflower, stock, and Garlic till smooth. Put into a pot. That is on med heat. Add butter and almond milk stirring occasionally. Season with Salt and Pepper. Bring to a bubble then stir in cheese. and you are done. Serve on whole wheat pasta with a sprinkle of parm. I was actually pleasantly surprised. This entry was posted in food and tagged alfredo, cauliflower, cauliflower alfredo, eat clean, food, healthy, recipe by kalarw. Bookmark the permalink.